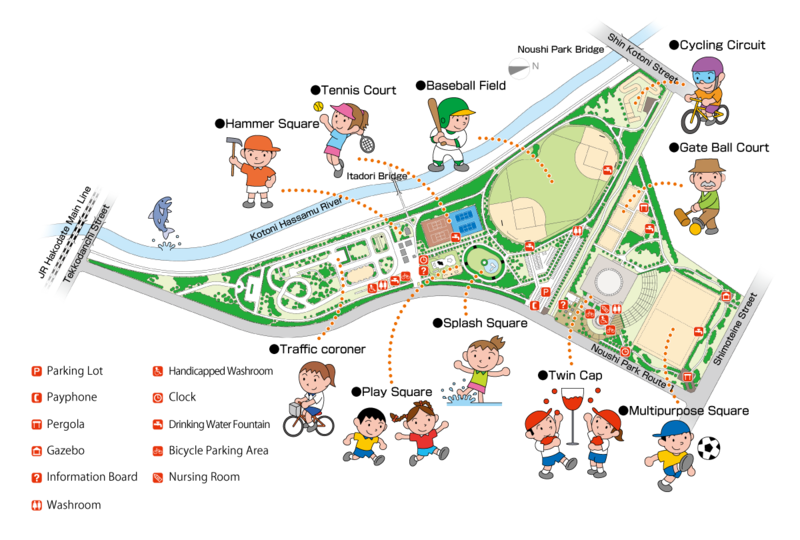 Noushi Park is a sports park, open year-round, founded on a plot of land from a Ministry of Agriculture, Forestry and Fisheries agricultural research station. At the distinctive “Twin Cap” building, visitors can play sports under a stream of natural light, whatever the season or weather. Outside, there are a variety of fields and courts, used by everyone from children to the elderly. In this popular area, with traffic lights and crosswalks, visitors can ride bikes while learning the rules of the road. Loaner bicycles, from kids’ bikes with training wheels to adult models, are provided free of charge. In this space you can freely enjoy making crafts with wood. Tools are loaned for free. Friends and family alike can learn how to use tools by doing, and experience first-hand the joy of creating. A space for lively tykes, full of kids’ favorite play equipment: sandboxes, swings, slides, and more. A mountain bike course totalling 190m in length and packed with thrills, culminating in an S-turn with a grade of 35 degrees. A 3000㎡ (about 54m x 54m) indoor sports ground with a 12m high roof. Using divider nets, the Arena can host several different sports at once. A circular pool, surrounded by greenery, packed with kids in the summer. The water is 20cm at its deepest, so even small children can sit safely. Look for the giant whale! Natural light gently streams through this relaxing space. Makes a great rest area after sports or a stroll. 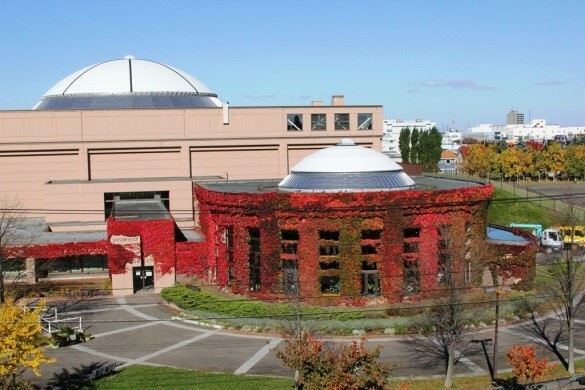 Please use the Solarium as a warming room (20 ℃) in the winter.